The first book I will count towards this year’s Aussie Authors challenge is Kathryn Fox’s fifth novel which I was curious to read because it tackles a very topical and complex issue that has certainly had its share of media attention in recent years. When Sydney-based forensic physician Anya Crichton is asked to consult a patient who has returned from her honeymoon with sexually transmitted infections she believes she’s being unnecessarily involved in a simple case of infidelity. Given the woman’s husband has tested negative for the infections, Anya assumes that Hannah Dengate is lying when she claims to have had no sexual partners other than her husband. However the case soon turns into something all together more unsavoury and leads Anya into a new field of research: the psychology of male team sports players and their attitudes to sexual assault. She is then asked to go to the US to discuss her research and provide information about what constitutes sexual assault to elite footballers but soon becomes embroiled in another case of possible sexual assault by a group of sports stars. It’s not my place to tell writers how to do their jobs but I thought the first 50 pages of Death Mask was a bit like a long, slightly lecturing prologue. If instead the book had begun with Anna in the US and then introduced her previous experience with the relevant issues via flashbacks or some other mechanism I think the story would have held more suspense from the outset. However, once the book does get going it flows very smoothly and quickly and almost always manages to avoid being preachy. There were a couple of sections where this was not so but with such sensitive material it would have been difficult to avoid all together. The book not only explores the attitudes to women by some sports stars (and their fans) but also looks at the exploitation of the players themselves by team owners and others whose aims conflict with the best interests of the players’ health and wellbeing. This is one of those instances where fiction has examined complex social issues in more depth and with more acuity and balance than I’ve ever seen in the talk-radio fueled hype of mainstream media when similar events happen in the real world. I have read all of the books featuring Anya Crichton but I must admit I have never particularly liked her as a character. Here though Fox seems to have toned down Crichton’s superwoman traits and made her more human and believable. Perhaps it is because for most of the book she is in the unfamiliar environment of New York dealing with participants of a game she knows nothing about and so can’t be quite so superior as she has been in previous novels. Her genuine empathy for all the victims she encounters, including those who are in turn perpetrators of violence gives the book a real warmth. The book is also populated by other very credible characters, including both victims of and perpetrators of sexual assault. After its first 50 pages Death Mask has one of the most compelling and creative storylines I’ve encountered in ages. In many ways is a much broader book than pure crime fiction as it examines the psychology of team sports from all angles in a thought-provoking way that is far-removed from the way we normally the subject addressed in the media. It is balanced not only in the way it looks at these issues but also in the mixture of fiction and fact that are incorporated into the story. I’d recommend this novel to anyone, especially those with any kind of involvement in or fascination with professional team sports though, sadly, the people who most need to read something like this will probably never do so. A final point in the book’s favour is that it could easily be read independently of the previous novels in the series. 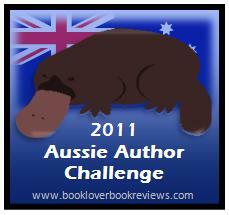 This entry was posted in 2011 Aussie Author Challenge, book review, Kathryn Fox (Aus), USA. Bookmark the permalink. Bernadette – Thanks, as always, for your review. I think you touch on something really important here: how do you address a controversial and difficult subject without getting preachy. It really is very hard to do, and I’m glad Fox has done that here. Thanks. Sounds like a good book. Glad to see Aussie women writers. I will try to get this book, but my library is very sparse on Aussie writers, especially women. Pity that Aussie books (by women) are hard to get hold of elsewhere. Great review, as ever. I read the first Anya book and did not like it that much – I can’t remember much about it now, but I dimly recall lots of “women in peril” situations and a jumping-around plot. This one sounds much better from your review, so maybe I will return to the series as you say it is possible to do so with this particular entry. Tough subject matter and probably not necessarily something I’d run to for my reading for pleasure pile, but glad authors are tackling it – great review! I’ve read a couple of books by Fox – this one seems very topical – I will have to pick it up!